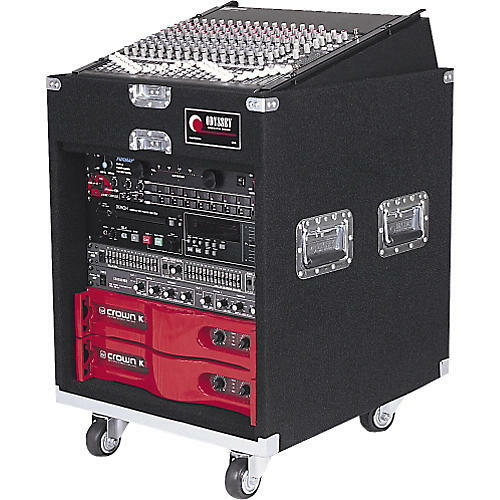 The rolling Odyssey CXP1110W Pro Combo Case enables easy portability for live sound, recording, or DJ equipment. The top has 11 rack spaces. Bottom has 10 vertical rack spaces. Recessed hardware. 3" casters. 70 lbs.